Made from number grade one Southern yellow pine that has been kiln dried before and after treatment to make it into a hardwood. Available in many sizes 10′, 12′, 14′, 16 and 20′ widths. The length goes from 10′ all the way up to 20′. Shown with a metal roof and cedar tone stain. The stone pillars are optional. Here are some pictures of past projects. Pavilions are used for many different applications. 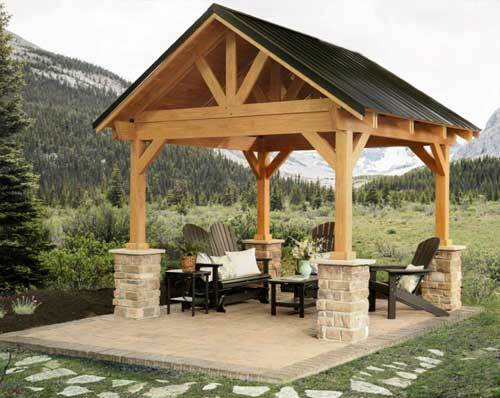 Pavilions can be customized to fit the perfect spot.